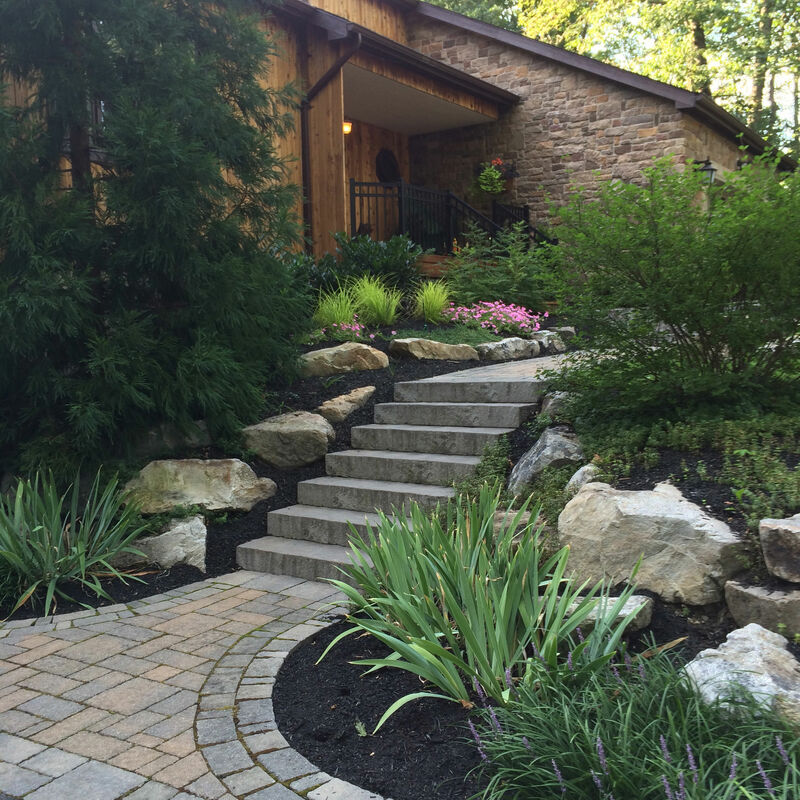 Groundcovers play an important role in many gardens and landscapes, but are often overlooked when homeowners plan a new landscape design. Categorized by their form of low-growing, ambitious vegetation, groundcovers provide many benefits to your landscape and your wallet. When including groundcovers in your landscape design, the increasing need for mulch is eliminated, saving you money in the longrun. With each passing season, it is noticeably visible that your groundcover is diligently doing its job and is looking good while doing so. The following are our favorite groundcovers, which neatly and beautifully compliment any landscape. Pachysandra is a low-maintenance evergreen that has the tendency to spread quickly when introduced to a new landscape. Being a member of the boxwood family, it’s leaves are larger than the norm, yet a fairer shade of green that delights with delicate blooms of sweet white flowers in the early spring. Pachysandra loves full to partial shade, making it the perfect solution to a shaded garden or underneath trees where vegetation is sparse. Its effortless elegance makes it a poplar addition to a border garden, accent landscaping beds or as a foundation planting. Not being hardy enough to withstand foot traffic or being in contact with heavy garden tools, this planting is best left to itself, and tending to it only when needed. Vinca Minor, or most commonly known as Periwinkle, is as sophisticated as it is graceful. Its evergreen, glossy, petite leaves deliver charming purple, pink or white flowers from mid-spring to fall and loves dappled sunlight. Its main benefit is that it can cover a large area quite quickly and can be easily maintained. Vinca Minor is a popular foundation planting but compliments larger plantings just the same. This plant brings textural interest to an area with larger leafed plantings like hostas and ferns, creating a harmonious balance within the landscape. While this groundcover is low-maintenance, keep an eye out that it is sticking within its designated home. If this groundcover starts to wonder off into places you don’t want it to be, it is best to handle it early on so it doesn’t become overly established, giving you more work than you planned for. Liriope, also known as lilyturf, tolerates most any soil and is happiest in full sun to partial shade. While it isn’t uncommon to see Liriope in shaded areas, it will grow at a slower pace with not-as-desirable elongated foliage. Optimally growing in a sunny and well-drained area, liriope forms tall, dense, grassy clumps that produce spiky blue-purple flowers in summer through fall. The flowers then give way to black-ish berries that persevere through the winter months. As for garden uses, liriope is best used massed as a groundcover, as an edging plant or planted within small groups for an aesthetic accent. Some homeowners select liriope as a grass substitute, but it is well-known that it has little tolerance for foot traffic; so if you have an active household, liriope is best kept within your landscaping beds. Ajuga, also known as Bugleweed, is a member of the mint family and is one of the most overlooked groundcovers in existence. Overlooked, yes…underestimated, yes…unrelenting workhorse, yes! This dark, glossy groundcover is perpetually ignored by pesky deer and rabbits looking for a quick snack, and is the perfect filler in your landscaping. While ajuga does spread rapidly, it is not a deep-rooted plant that you will need to break out the heavy equipment to maintain. Best used as a weed suppressant and erosion control, the rapid growth creates a beautiful green and blue blanket, meshing beauty and function into one. This woodland classic has textured, soft foliage that exudes a light and easy-breezy feeling to the air. The long stems are home to gentle whorled leaves, giving it a beautifully interesting characteristic right off the bat. 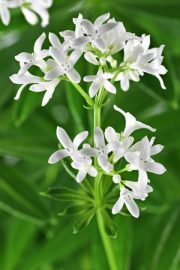 Planting sweet woodruff among taller perennials or en masse in a moist, shady area will produce a dense carpet of groundcover. Once this plant is established, it is hard to remove, so choose your location wisely before introducing it into your landscape. An added bonus to the sweet woodruff, when dried, the leaves exude a simple and sweet vanilla-esque aroma, which is a perfect addition to a homemade potpourri! While groundcovers are some of the most pragmatic plants in a landscape designer’s back pocket, an experienced and professional landscape designer will have a vast knowledge of all plants and understand the landscape demands of your property. 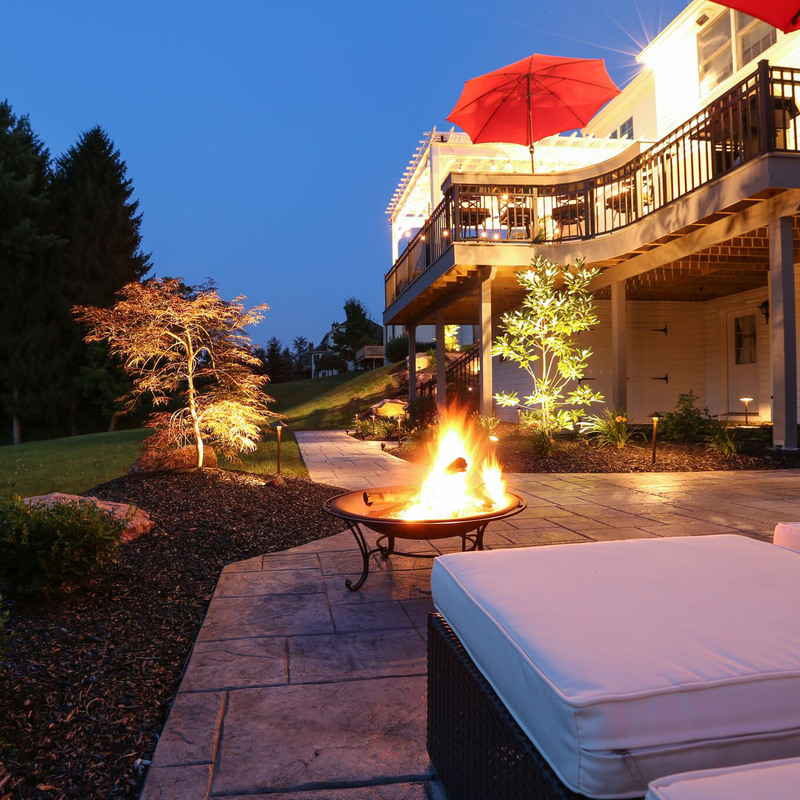 Serving the Poconos, Lehigh Valley through the Main Line of Philadelphia and western New Jersey, MasterPLAN Landscape Design has the background, experience and attention to detail when it comes to everything outdoor living! 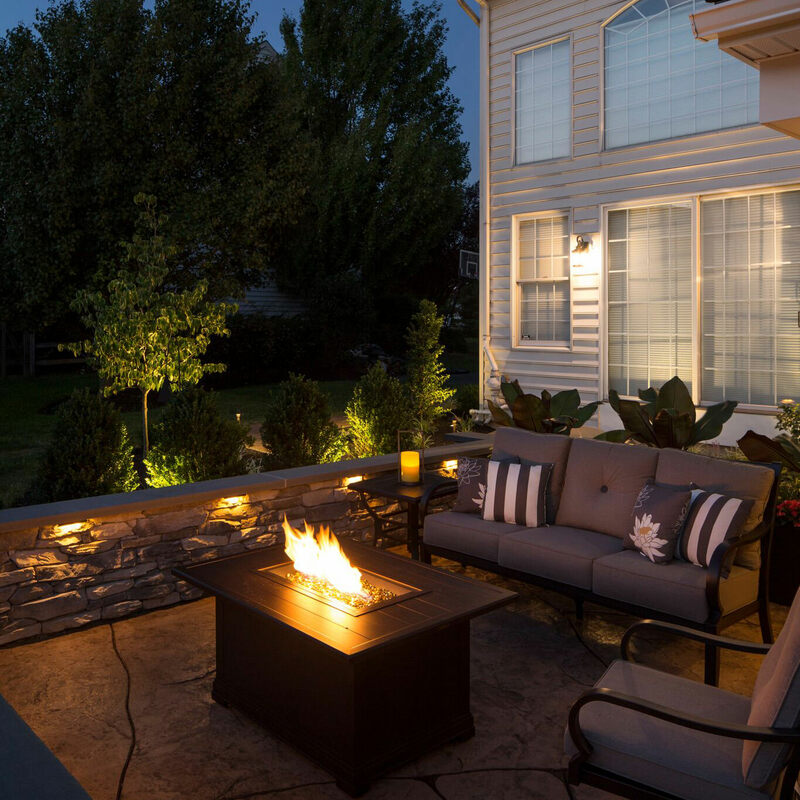 MasterPLAN doesn’t start and stop with plants; we specialize in comprehensive backyard transformations! 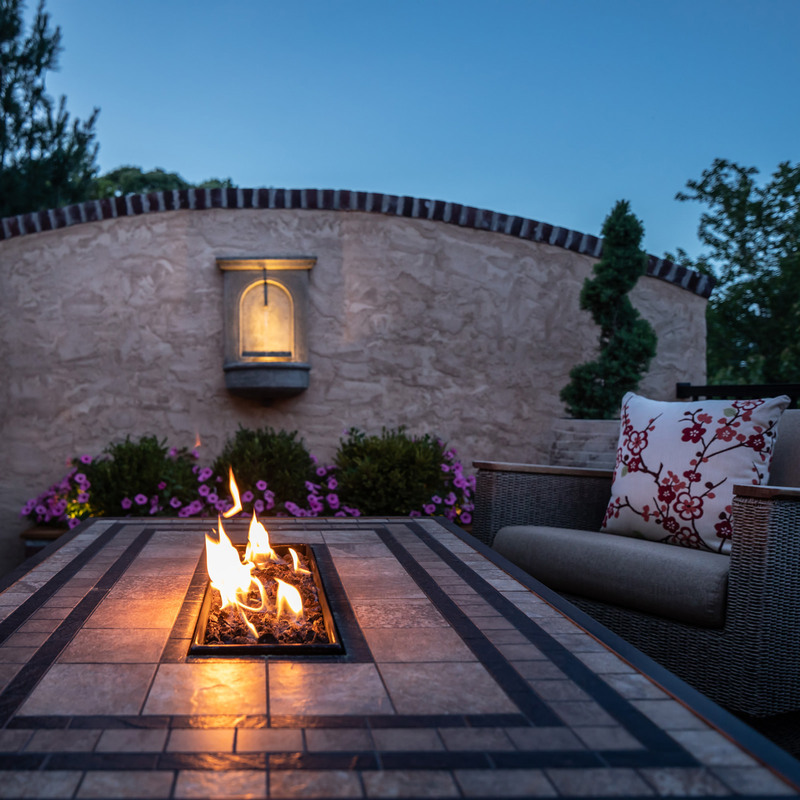 From decks, patios, roof structures, fire and water features…etc, we are ready to transform your dreams into your reality! Reach out to MasterPLAN to discover, together, the full potential for your property!